A British family run company, founded by Jonathan Sainsbury, with a worldwide reputation for creating the finest furniture and mirrors. We work closely with the world’s top designers, architects and specifiers. The company is based on four generations of expertise in the antiques and furniture making business. Although we are best known for our traditional furniture and mirrors we are not confined to the classical style; we also design and create contemporary pieces. Our ethos is simple; to create furniture and mirrors of unsurpassed quality. The Drawing Room at Wimborne St Giles showing Jonathan Sainsbury’s latest creation the absolutely fabulous carved wood and water gilded Kedleston Hall sofa. A range of interesting and exceptional furniture in a contemporary setting at Albury Park. Great design is timeless as proven by the enduring influence that the unique designers of the 18th and early 19th centuries have on today's interiors. 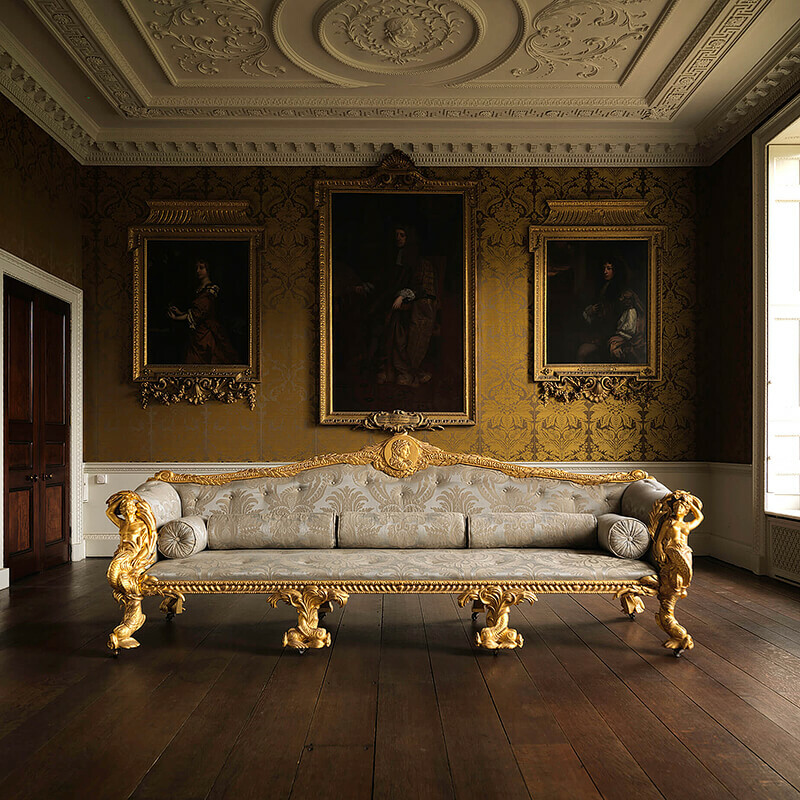 Our collections range from grand Georgian style benches and vast, opulent mirrors to elegant Regency style stools and intricately carved side tables. We hope that you will find plenty to inspire. The inspiration for our collection of furniture and mirrors comes from the original antique, (that we have owned or that we have discovered in our travels), or from drawings from our extensive library on English furniture. 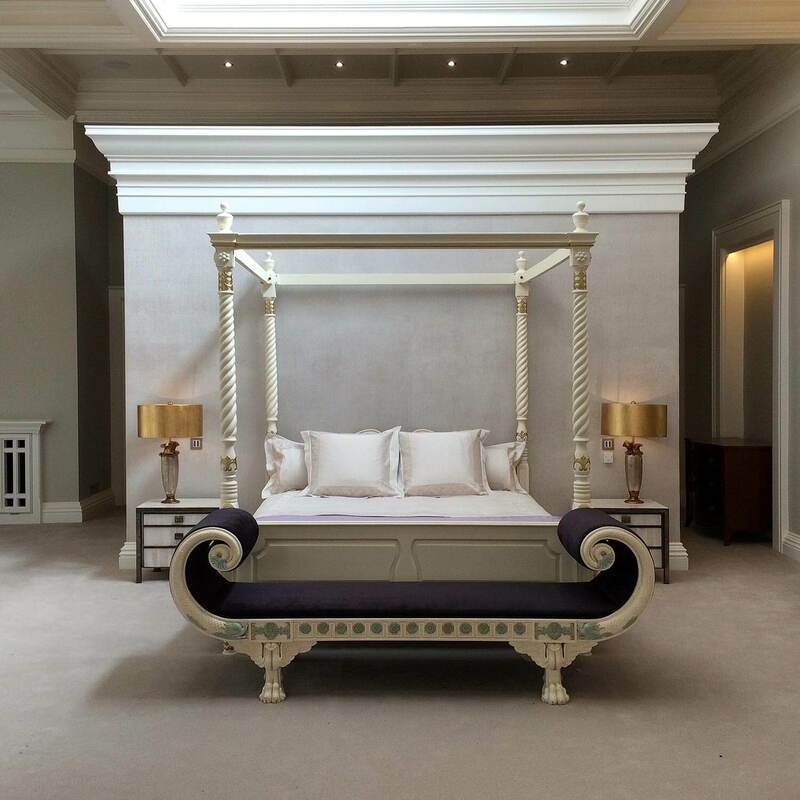 To create many of our pieces we have drawn on the great names in English architecture and design, such as, Thomas Chippendale, Robert Adam, George Hepplewhite and Thomas Hope. In addition to our extensive collections, we undertake numerous private and corporate commissions and offer a full advisory service. Our highly skilled designers and craftsmen employ 18th and 19th century techniques to create authentic designs and finishes. Each piece is carefully researched, designed and finished to fulfil the requirements of our time and lifestyle. Jonathan has been dealing in fine furniture and objects all his working life and spends much of his time visiting some of the finest classical period houses in the country. He has a wealth of experience and passion for fine furniture. Jonathan and the team are always very happy to discuss your requirements either over the phone or in person (they also specialise in long lunches! ).